The situation at the market hasn’t changed since the publication of Non-Farm Payrolls. The currency pairs are still growing against the American currency. In case of the EUR/USD pair the RSI indicator is testing the trend line which can lead to the continuation of the rising movement. 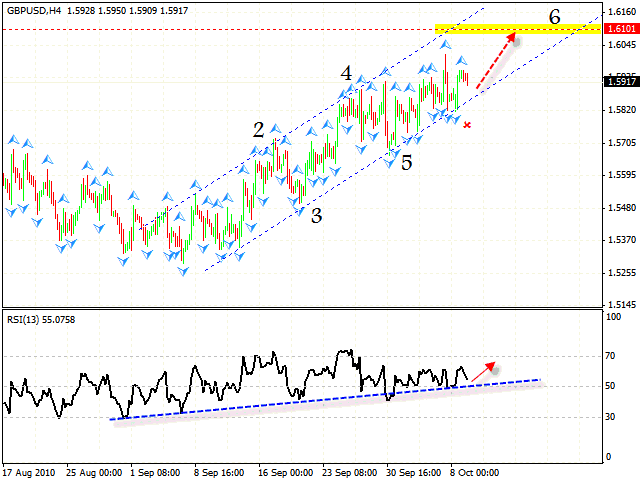 According to forex analysis eur usd, you can try to buy the pair with the stop of 50 points. The target is at least of 1.40. In case of the GBP/USD currency pair the reversal pattern has not been completely formed, which means that the existing trend is quite strong. 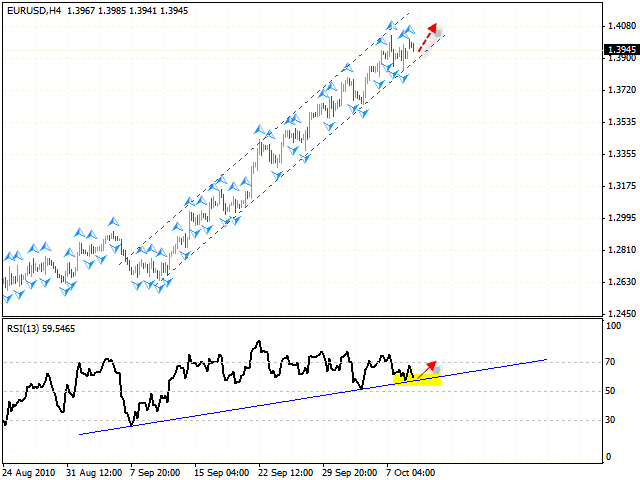 Judging by technical analysis gbp usd, you can try to buy the pair with the pair below 1.5890. The target is in the area of 1.6100. In case of the USD/CHF currency pair we have intermediate descending pattern forming with the target in the area of 0.9515. 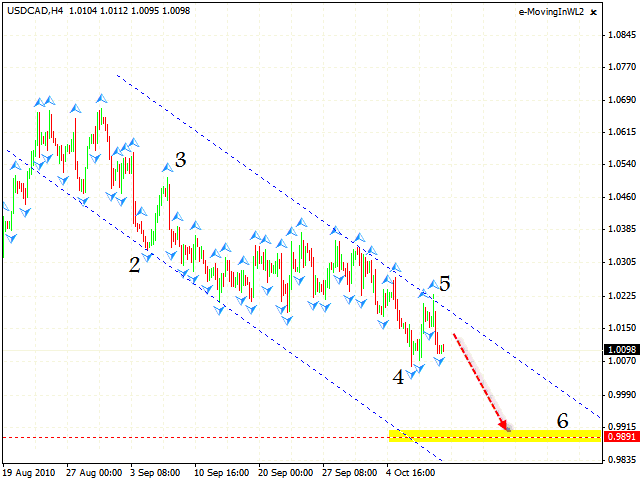 According to technical analysis usd chf, you can try to sell the pair with the stop above 0.9657. Analysis usd cad shows that, Canadian Dollar has formed the 5th point of reference of the descending pattern with the target in the area of 0.9891. One can try either to sell the pair or wait for the test of the channel’s upper border and then open short positions. 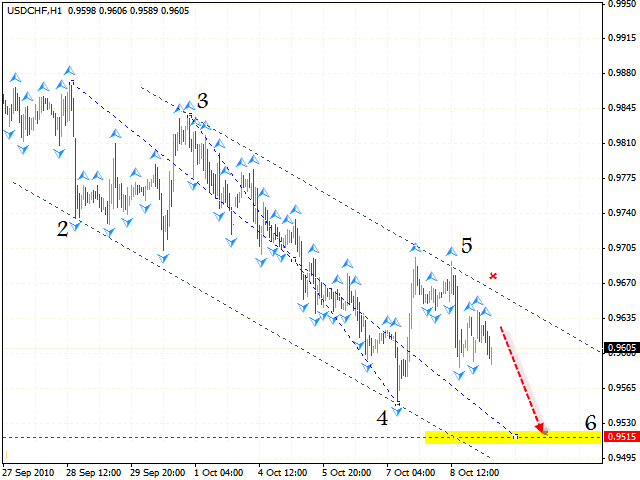 At the weekly chart we also have the descending pattern, but the targets are a bit lower, in the area of 0.8561. As we can see, the “triangle” pattern with the target in the area of 0.9148 has been broken. 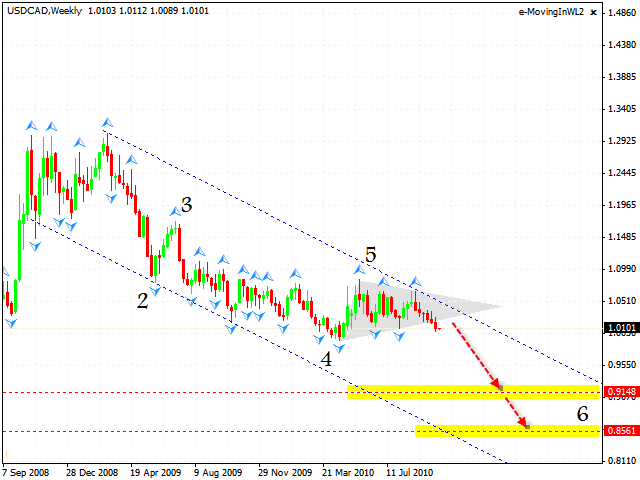 Thus, both daily and weekly forex online charts indicate that the USD/CAD currency pair will continue to fall. At the hourly chart we can see that the rising pattern has been formed, the channel has been broken and there is an area to sell the pair. At the moment we have “flag” formed,the pattern of continuous trend. One can try to sell the pair after the minimum is broken. The target is in the area of 1.0000. 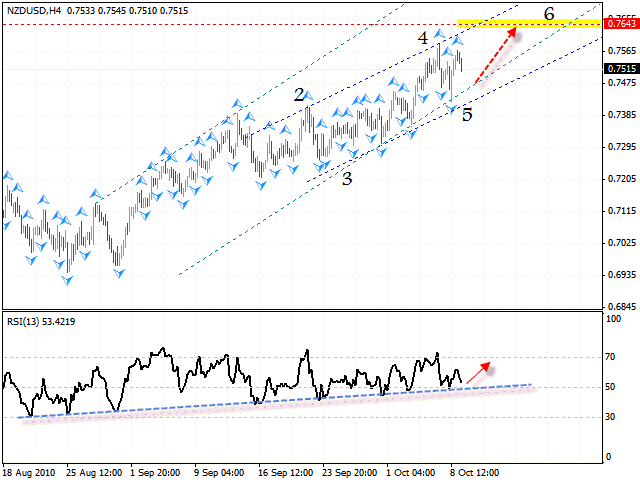 New Zealand keeps hitting the support line at the RSI indicator and going back. 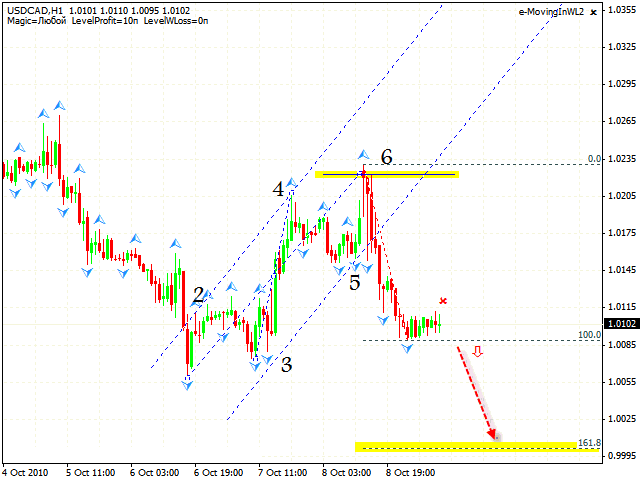 We also have the rising pattern forming with the target in the area of 0.7643. According to nzdusd forecast, you can try to buy the pair with the stop of 50 points. Don’t forget to move stop into the black as soon as possible.